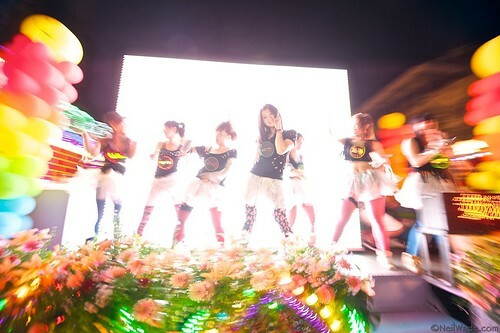 The 2011 Keelung Ghost Festival Parade was popular as always. 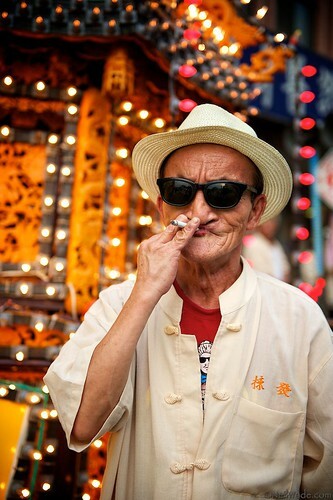 A parader waits for the start of the 2011 Keelung Ghost Festival Parade. 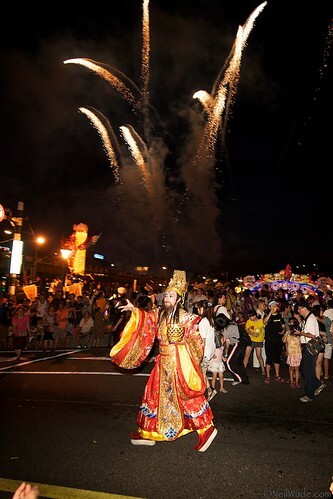 A marcher in the 2011 Keelung Ghost Festival Parade throws gifts to the crowd. 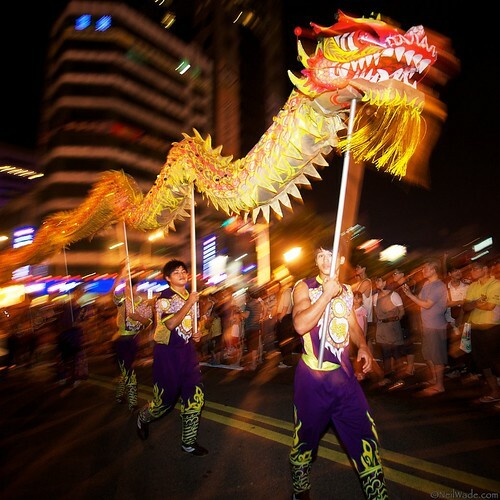 Paraders carry a dragon in the 2011 Keelung Ghost Festival. A woman marches in costume in the Keelung Ghost Festival. I'm really not sure what these guys were doing in the parade, but they had a lot of enthusiasm! 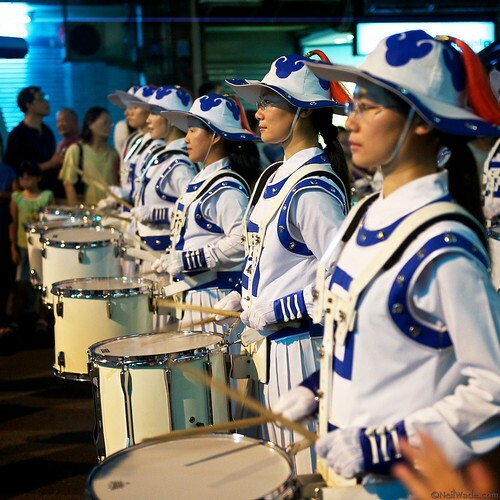 A Taiwanese marching band performs in the Keelung Ghost Festival Parade. 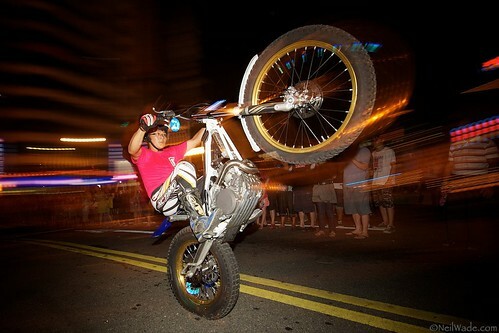 A motorcycler performs in the 2011 Keelung Ghost Festival Parade. 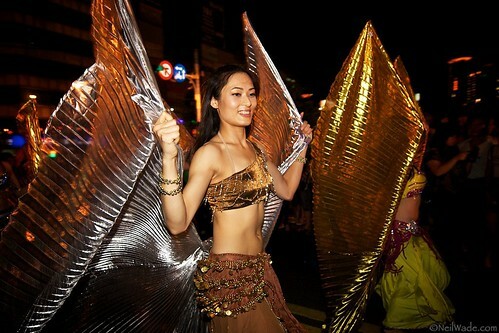 Dancing girls promote "No Smoking" at the 2011 Keelung Ghost Festival Parade. 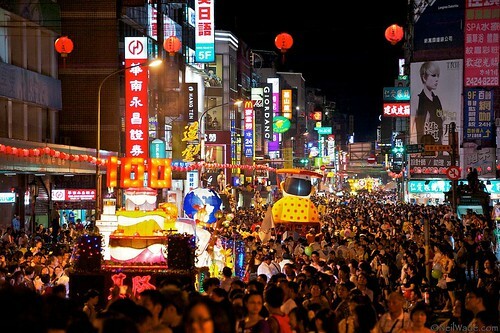 The Miakou Night Market in Keelung is always busy on weekends, but was absolutely heaving on the day of the Ghost Festival Parade. 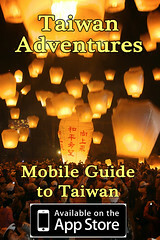 Travel to Keelung using Taiwan Adventures Online Travel Guide. 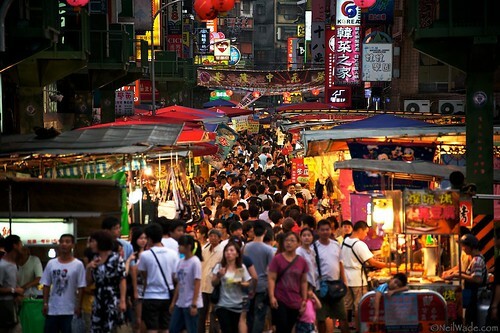 Read more about Keelung, Taiwan in another post that I wrote. Very cool Neil, thank you for the cultural lesson, reminds me of dia de la muerte of Mexico except that they celebrate the dead, not still fear it… Love looking through you pictures, you have done well for yourself, looks good on you! Thanks Tory. Good to see you are doing well too! Thank you so much for these amazing shots! Feeling nostalgic!! nice post. never knew anything about this ghost month. thanks for sharing. its amazing both the post and the images. Amazing photos, thank you for sharing! 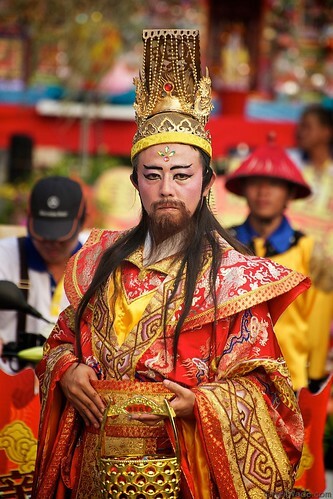 It has been years since I left Taiwan and had forgotten how big an event the Ghost Festival is until I researched it recently. Also forgot about the water lanterns till I found a youtube video capturing the festival. Thank you again.